2017 is already on its way. As usual the days will fly by quickly and before we know it we’ll be going through the same cycle all over again. Reminiscing, reflecting and even regretting some of the events of the days gone by while anticipating yet another year. Personal development experts and Life Coaches often talk about setting goals (short, middle, and long term) for the year, and then working, using all the resources at one’s disposal to ensure they are accomplished. I am not writing this to tell you they are wrong even though I am not sure it works that way for everybody. For instance, while it’s good to have the big picture in constant view, some people do better when they set only short goals or short and medium term goals for themselves. A long term goal may appear too overwhelming for them. They are more comfortable and most importantly get more done when they set bite-sized goals that aren’t too daunting. And so beyond attempting to adopt the general/popular advice, it’s important to understand what works for one as an individual. One of the reasons people lose steam and fall back to old ways no sooner than the new year commences is down to the “good old” bandwagon mentality. Everyone seems to have a new year resolution, so why not you? Many never stop to consider the uniqueness of their challenges or situation before stating a resolution, of course the reality begins to dawn on them not too long after, and they find that they are ill-prepared or equipped to handle the magnitude of the goal they have set. I have never been a big fan of making new year resolutions. I honestly believe it sets one up for frustration, as more often than not those resolutions fall by the way side as soon as the novelty of the fresh year wears off. I have long since chosen to only strive to be a better person and ensure I’m improving in all facets of my life each year…all the time in fact. May sound vague, but I think it works for me. Nonetheless, for those who really believe in the idea of resolutions for the new year, I’d advise that beyond setting goals and the initial enthusiasm of having something to work towards in a new chapter, determination is a key factor in ensuring that that which we have purposed to do before the year begins does not end up becoming mere wishful thinking, as opposed to an accomplished goal at the end of the day. It takes determination to be successful at any thing at all, and even more so in an environment that conspires to ensure you’re frustrated enough to jettison whatever plans you have made if you’re not resilient enough to withstand the many obstacles that will be thrown your way. Going through social media, I observe quite a number of people talking about their plans for the year, affirming and publicizing all they intend to do before the end of 2017. And I can’t help but wonder why they’re still wasting precious time rehashing their plans instead of simply getting to work. I mean it’s 4 days into the year already! This is the time to hit the ground running such that even if you were to lose steam somewhere along the line (because you’re human after all), at least you would have gained plenty of ground previously. It’s the advantage of getting an early start, at some point you can even decide you need some deserved rest for a few days or weeks without stalling or derailing your progress. Yes, you should pray. No, there’s nothing wrong with professing words of affirmation, but while you do that, remember that agnostics and atheists are successful too and have a good representation among the richest people in the world today. This suggests to me that prayers without the putting in the required work to ensure success is meaningless. Sheer determination and discipline is what you need to achieve your goals this year. 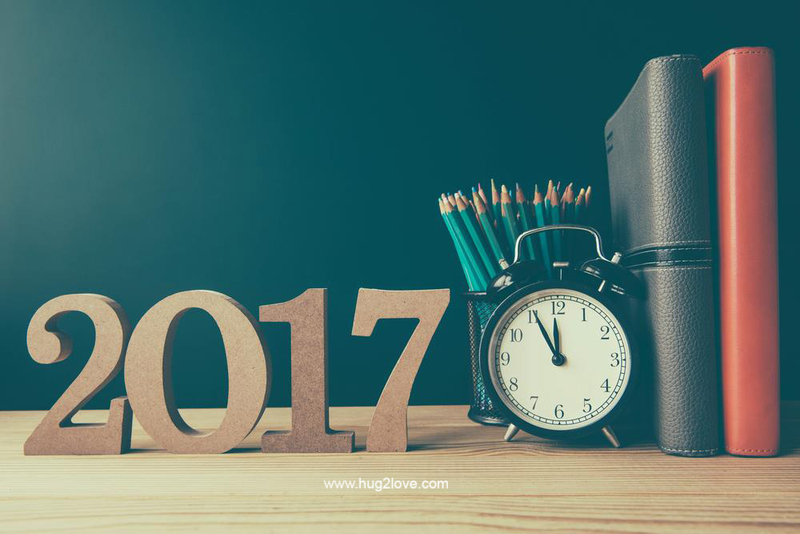 So, the much anticipated 2017 is here! Stale gist. Get over it and get to work! Thank you for jerking us to work early. I looked forward to this. I guess I’m guilty of usually assuming long-term goals ‘should’ work for everyone like it does for me. Somehow, it just has a way of easing my flow of work. Pressure-free, too. That said, I wish you a remarkable year. Hey Dapo. Thank you too, we all need that jerk sometimes. Have a great year ahead.